Jeweler and Goldsmith Terence Quinn Wins Again in Palm Springs, California Event February 25, 2015 OCCOQUAN, VA- Mr. Terence Quinn, owner and president of Quinn’s Goldsmith and http://QuinnsGoldOnline.com received, for the second year in a row, First place at a custom design show held at the Independent Jewelers Organization (IJO) Conference in Palm Springs, California. This year, Mr. Quinn won three First Place Awards and one Second Place Award for jewelry that was entered into the contest. IJO has over 800 members from the United States and Canada. Approximately one hundred entries were submitted for the design contest. Mr. Quinn won in all four categories; first place for three categories and second place for one category. The First Place Awards are for a Silver and 14KT Gold Tourmaline and Diamond Pendant, a 14KT Gold Opal and Diamond Pendant, and a 10CT Morganite and Diamond Pendant set in 14KT Rose Gold. 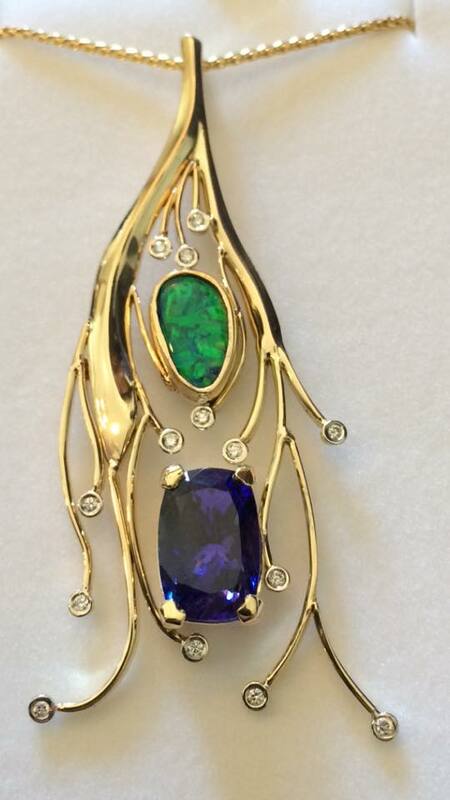 The Second Place Award was for an18KT Gold Diamond, Tanzanite, and Opal Pendant. Mr. Quinn was notably recognized for last year (2014) First place and Honorable Mention wins but this year was even greater allowing Mr. Quinn to showcase his talents and expand into different categories. Quinn’s Goldsmith will reach world-class milestone in August 2015 by celebrating 25 years in business in Historic Occoquan, Virginia. A second location at Potomac Town Center in Woodbridge, Virginia was opened in February 2011. In 2014 they opened their first online jewelry store, Quinn’s Gold Online. 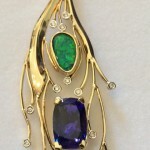 For more information, please visit: http://www.quinnsgoldsmith.com or http://QuinnsGoldOnline.com or call 703-494-1662. Windows 8 Consumer Preview: Let’s Install it on an Old Laptop! Copyright Ralph Altman : Technology Expert | Get SmartWeb Marketing!